Americans Summer Ross/Sara Hughes and Brazilian duo Agatha Bednarczuk/Eduarda ‘Duda’ Santos Lisboa will fight it out for the Moscow Four Star title live on the FIVB’s YouTube channel beginning at 10:05 a.m. ET Sunday. Ross/Hughes, the No. 9 seed in the tournament, are seeking their first FIVB Tour title and second FIVB medal, following bronze at the Espinho Four Star on July 7. 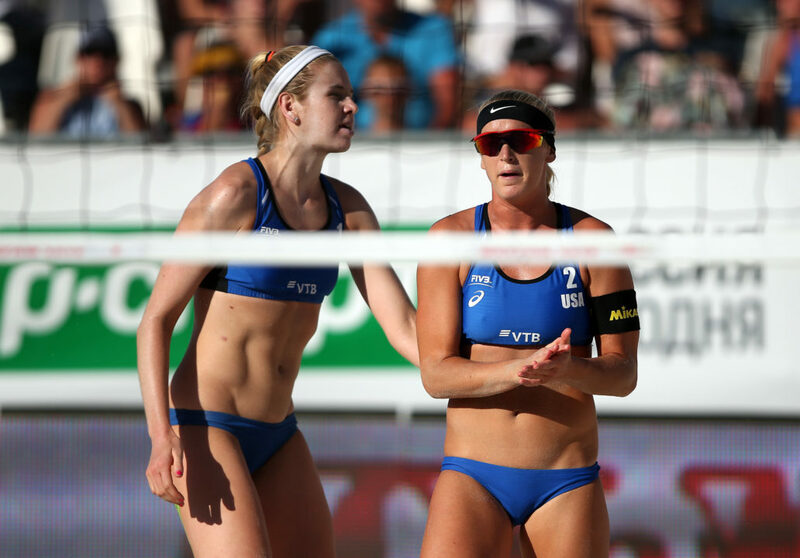 A gold in Moscow would be the fourth for the second seeded Brazilian duo, following titles in Itapema (May 20, 2018) and Rio De Janeiro (May 21, 2017), both four star events. The pair also has runnerup finishes from the World Tour Finals (Aug. 27, 2017) and Fort Lauderdale Major (Feb. 12, 2017). Third seeded Germans Chantal Laboureur/Julia Sude will take on No. 13 Swiss duo Nina Betschart/Tanja Huberli for the bronze on Sunday at 8:50 a.m. ET.